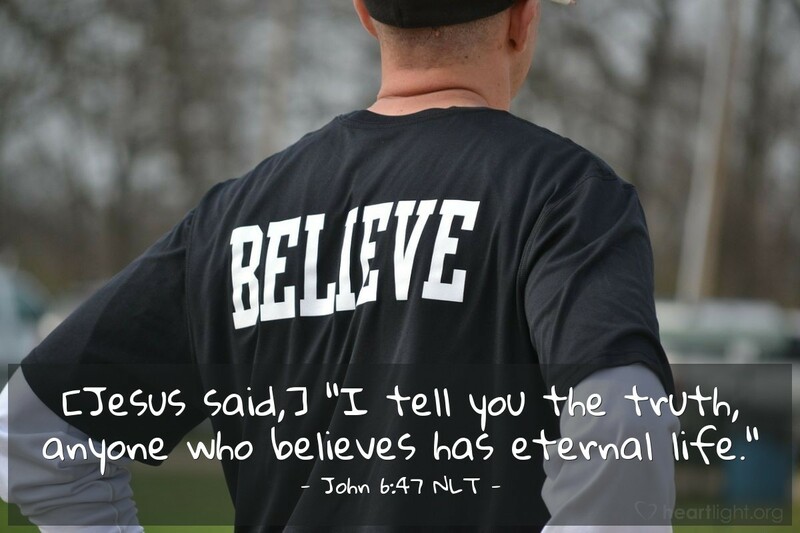 [Jesus said,] "I tell you the truth, anyone who believes has eternal life." John repeatedly reminds us that deciding about Jesus is THE watershed event in our lives. When we believe and obey Jesus, we pass from death to life — this is not a delayed transaction, but something that happens now. We no longer stand under judgment, but share in eternal life. While that life is not all that it will be when Christ returns, it is a quality of life, a character of life, and a fullness of life that begins now! Don't settle for anything less than eternal life — today! Holy God, please give me the courage and the confidence to live the life you have given me to its fullest, not holding anything back because I know that the life you give cannot be taken from me. In Jesus' name, and by his power and grace, I pray. Amen.